You can hear him on Marianne Faithful’s As Tears Go By, Brenda Lee’s Is It True and even on Downtown by Petula Clark. And he’s there on Joe Cocker’s title track With a Little Help from My Friends. In the 1960’s if you were recording in England and wanted a session guitarist, you either went with “Big Jim” Sullivan or “Little Jim” Page. Both played on Downtown, by the way. 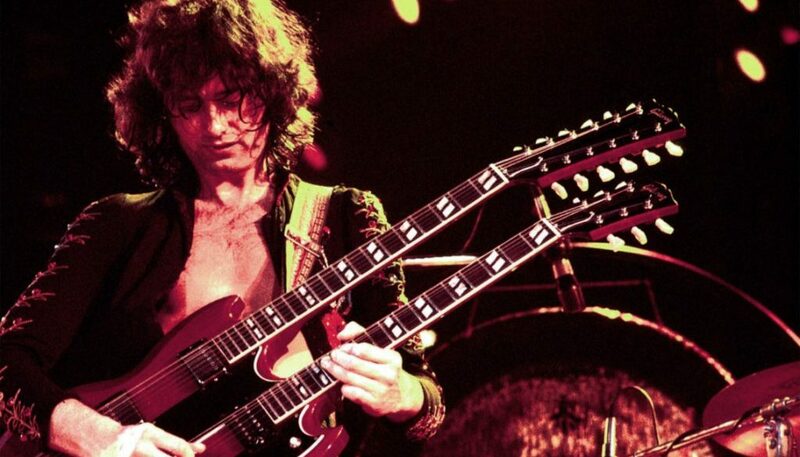 James Patrick Page (born January 1944) and his family found a guitar in their new home when they moved to Surrey. No one knew how it had gotten there. At twelve, he took a few lessons and also picked up some basic chords from the only other guitarist at his school and then taught himself a lot of music by listening to records. No tablatures, no books, just his ears. He loved James Burton and Scottie Moore, who played for Elvis, and he also found a lot of inspiration from blues guitarists like B. B. King, Buddy Guy, Willie Dixon, Elmore James and others. This mix of blues and rock and roll, as well as acoustic folk and skiffle, would lay the groundwork for his personal style of playing. And he would play whenever he could. He took his guitar to school (where it was usually taken from him by the teachers and then returned at the end of the day) and would basically play “with anyone who could get a gig together.” He was invited to join the Crusaders and spent two years touring with them. He also got very sick and spent eighteen months recovering, still playing all the time he could to get better and better. In late 1962, Page was a regular at London’s famous Marquee club and you would find him jamming with the likes of Eric Clapton and Jeff Beck. He impressed a lot of people and made contacts and started getting regular session work from Decca Records. His very first session for Decca turned out to be a #1 single, Diamonds, with Page playing acoustic rhythm guitar on Jet Harris and Tony Meehan’s instrumental. Then Andrew Oldham (the Rolling Stones’ manager) hired Page as house producer for Oldham’s Immediate Records, which specialized in London’s blues and R&B acts. Whether playing or producing a session, and there were often a dozen or more sessions each week, Page was learning and cataloging and studying. He declined an offer to replace his friend Eric Clapton as a member of the Yardbirds, and turned them down again when Clapton quit on his own in February 1965, suggesting his friend Jeff Beck might fit the bill. At the time he wasn’t sure he wanted to give up his session work and, remembering his stint with the Crusaders, he also worried about his health while touring. In May 1966, Page and Beck, along with session keyboardist Nicky Hopkins and the Who’s Keith Moon and bassist John Paul Jones recorded Beck’s Bolero. The session lead Page to think about forming a supergroup consisting of the session personnel, albeit with the Who’s John Entwhistle on bass. Hearing the idea, Entwhistle proclaimed something to the effect that the band would take to the air like a lead balloon, which led Moon to say that “Lead Zeppelin” sounded like a great name for a band. Not long afterward, the Yardbird’s bassist, Paul Samwell-Smith, left the group. Page asked to replace him and was the group’s bass player for a short while before joining Beck on guitar duties while Chris Dreja (the rhythm guitarist) switched to bass. When Beck left the Yardbirds, Page became the group’s sole guitarist. Interpersonal tensions, touring and the lack of commercial success finally took their toll and the other Yardbirds decided to leave the band even though the group still had tour dates to play. Page planned to do the tour and sought out other musicians. Terry Reid, his first choice of vocalist, turned Page down but suggested he check out Robert Plant. Page and Plant found they had a lot in common with their musical tastes and artistic direction. Plant brought drummer John Bonham into the fold (they had both been in the group Band of Joy together) while bassist John Paul Jones approached Page, asking if the group might be interested in having him as a bass player. Page jumped at the chance. Initially touring as the “New Yardbirds,” they soon renamed the group “Lead Zeppelin,” which was then changed to “Led Zeppelin” to insure that people pronounced the name correctly. Page’s new band would certainly become one of the most influential groups, rock or otherwise, of all time. For twelve years, up until John Bonham’s death in 1980, Led Zeppelin created some of the hardest rock, soulful blues music and beautiful acoustic songs. They explored ideas and sounds in ways that much of their audience may not have even realized. As a producer in the studio, he not only used all he learned from Talmy and others, but also used his ears to direct him. Artists like the Beatles and Jimi Hendrix had shown the world how to turn recorded material into art through the wonders of effects, overdubbing and mixing. Page went a step further and showed the world how to make the recording itself an art. Instead of placing a microphone directly in front of an amp or a drum set, as was the prevailing style of the day, he would put multiple microphones at various places and distances in order to find the best mix. He’d also use small amplifiers, trusting his miking abilities to bring out the most powerful sound. Since Led Zeppelin’s break up in 1980, Page has still been playing and producing almost nonstop. He’s worked with Beck and Clapton, the Rolling Stones, Graham Nash, Paul Rodgers (as the band The Firm), Stephen Stills, and even Puff Daddy. 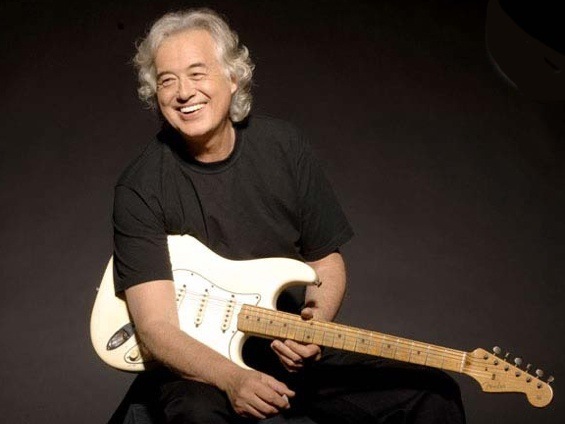 Reunions with the surviving members of both the Yardbirds and Led Zeppelin (working with Plant on numerous occasions – most notably the MTV Unplugged show titled “Unledded”) as well as countless charity performances, not to mention all the honors and awards concerts and programs, have kept “little Jim” very busy. Rock and roll anthems like Stairway to Heaven, Communication Breakdown, Heartbreaker and literally dozens of others have pretty much ensured that Jimmy Page will always be thought of first as a guitarist, and that’s more than a little ironic as he deserves to be revered just as much, if not more, for his contributions as a producer of some of the most interesting and diverse that a rock guitarist would ever create.